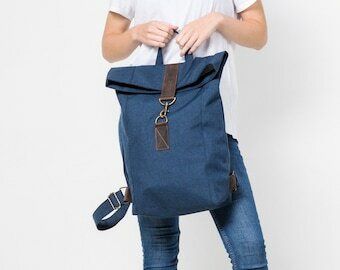 The Backpack "Brooklyn" is sporty, cool and casual. 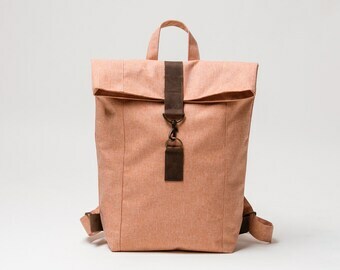 The bag is made from 100% Cotton canvas and oiled leather. The material is water resistant and it gets through frequent wear their old style individual character. Spacious main compartment with magnetic closure. Compartment to fit an A4 folder. 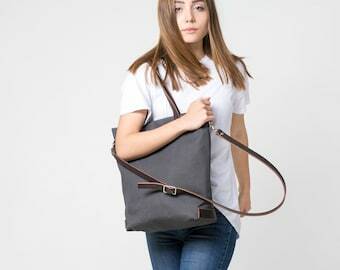 Dark grey waterproof cotton canvas lined in gray. 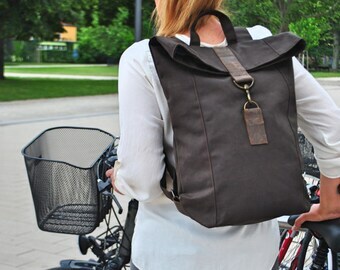 Waterproof canvas is a durable, natural and time-tested fabric. 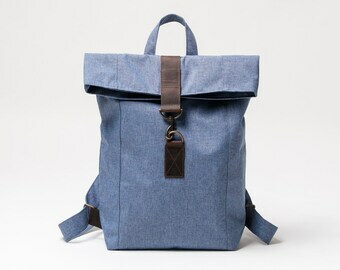 Each and every canvas bag takes on its own unique character, no two are a like. Our leather is sourced from the famous Italy tannery. 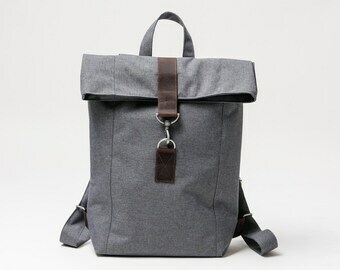 CHANTA® bags are designed and hand manufactured, in small batches, in Berlin. 100% made in Germany. Please allow 1-3 business days for your item to be completed and prepared for shipment. 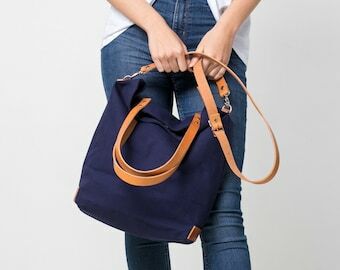 Lovely bag ! Quick shipping and a pleasure to deal with you. Thanks. Great shop. Great products and fast delivery. Ich bin super glücklich mit meinem neuen Rucksack. Danke! I accept PayPal, etsy coupons and credit card. If you would prefer to pay via direct money transfer then please contact me for my bank details. Contact me if You want to reserve item. I take great care to provide full and accurate descriptions of my items on each listing. All measurements are approximate as each item is individually handmade. Please ensure that the measurements meet your requirements before making you purchase. I also do my best to take clear photograhps that display the color as accurately as possible but this is a difficult task since I am not a professional photographer. Please also note that colors may vary from display to display. I am always happy to answer any questions before you make your purchase. You can cancel before shipment. If anything else goes wrong let me know right away so I can make things right. I want you to be happy with your purchase. I am sure that you will be happy with your purchase and I would appreciate your feedback. If you are not satisfied with your purchase please DO let me know and be assured that I will do everything I can to satisfy you. My aim is to provide great customer satisfaction and I will do whatever I can to make you happy with your purchase.